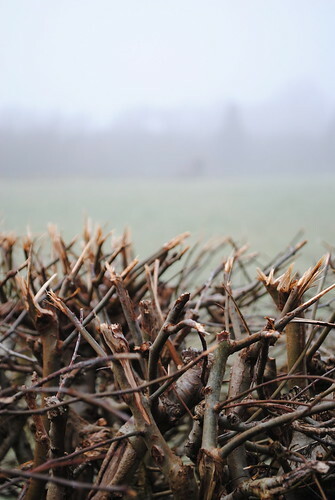 Winter hedge, originally uploaded by Rossa McMahon. Today is cold and winterish, but in a nice way. White fog and frosty surfaces provided the perfect conditions for trying out my new camera in the Demesne. More here.